Christmas present buying is honestly one of my favourite things to do. Once I get past the initial "ARGH" of what to get who, I really enjoy it! 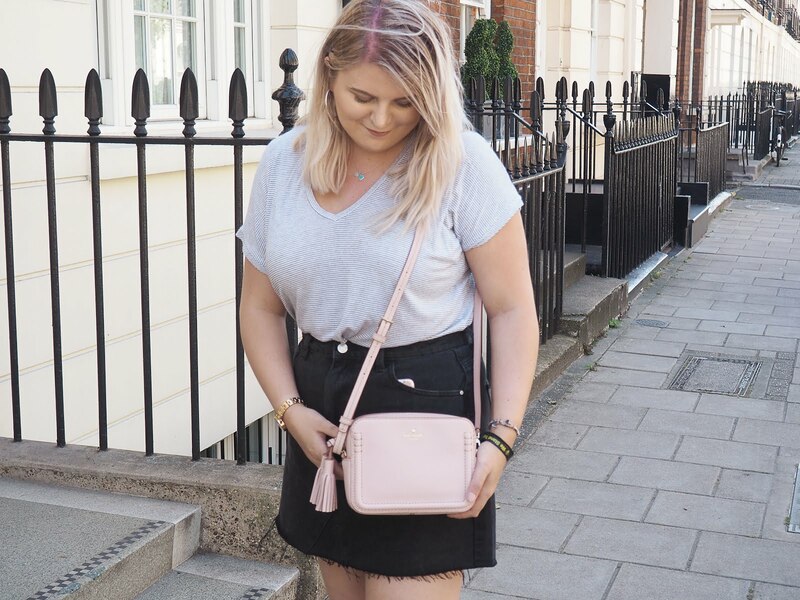 Recently, I have got into buying more personal and unique gifts as opposed to the generic gift sets that you can find anywhere (although I do love a good make up set)... I just feel that they add a nice touch and show that you've put in much more thought. I find that 99% of the time the random little stocking fillers you receive are some of the best presents ever. Remember, it's the thought that counts! That's why I wanted to share with you some of the individual presents I have come across whilst spending many hours browsing the internet. To be perfectly honest, I wouldn't mind receiving any of these myself (although I have already bought the phone case, oops!). Which of the products I have shown are your favourite? Mine arrived the other day and it's so adorable! the chocolate brussel sprouts look hilarious! I know right? They look hella tasty though! i totally get what you mean my the initial ARGH haha by the time i get all my presents i just want to give them out straight away! i love those sprout things, thats such a good idea! There's so many different gifts out these days I just get a bit overwhelmed with choice, I also hate waiting until Christmas to give them out haha! All of these! Apple Pie probably smells delicious!!! Ugh I know!! I love foodie scents so much - I really need to track one down in Boots so I can smell them! I love these ideas. I really really really want the candle - gorgeous! <3 And the diary! I do love me some cute baking supplies! Haha for the past 10 years I've been super diligent about getting stocking stuffers for my parents. There was one year that we opened the stockings and my dad and I had a bunch in ours and my mom had none in hers. She's the one who normally buys them all so I felt horrible. Since then, I've always made sure hers was filled! 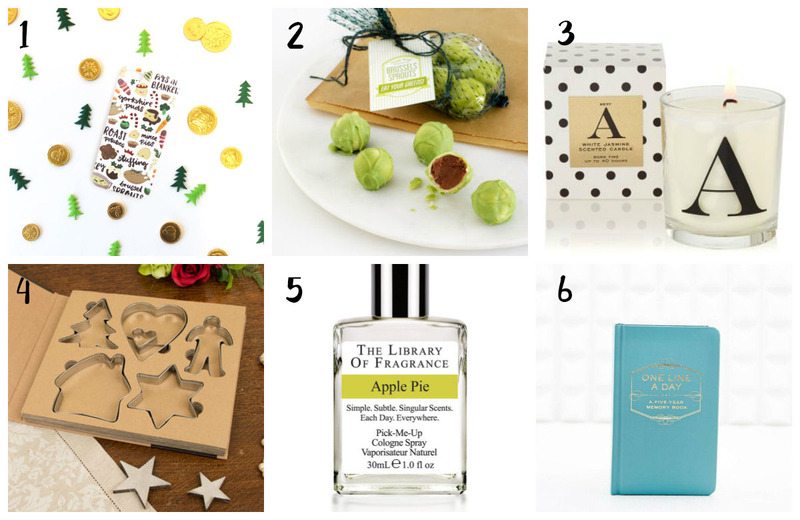 These are great little ideas (especially that fragrance)! Oh bless her! That's so thoughtful of you though, stocking fillers for everyone! I love all of these ! I am such a huge lover of more quirky gifts .. How amazing are those chocolate sprouts haha !!! Such a good idea! I also love the candles with the initials.. And that phone case is adorable ! Great post baby girl .. Thank you for the ideas ! Those brussel sprout chocolate are hilarious yet i bet delicious! Anything with chocolate is an instant winner! The phone case is gorgeous! I would´ve already gotten that for myself if I were you too. I also really like the idea of giving someone a creative diary like One Line A Day as a stocking filler! I just couldn't resist the phone case, oops! I LOVE random, quirky and fun presents! I would rather find those than anything I need in my stocking :) Thanks for sharing these cute ideas, sweetie. Always loving your posts!! I love your selections - I agree, the qwirky little presents at Christmas are so fun to give and receive.